Viacom18’s flagship kids channel Nick is all set to premiere the 13th installment of made-for-television movie of its leading franchise ‘Motu Patlu’. The movie titled ‘Motu patlu Kunfu King 3 in Hong Kong’ will air on 19 October at 02.30 pm. After entertaining kids with their Kung Fu mania in the first two movies of the series, the masters are back and this time, the journey is tougher with bigger and bolder Kung fu villains. Join Motu and friends as Motu trains with the Boneless Master himself in Hong Kong to defeat the most menacing villain of all; Devil Don. Get set to learn some deadly moves from the awesome twosome and rejoice the glory of good over evil with Motu Patlu in Hong Kong (Kungfu Kings 3). 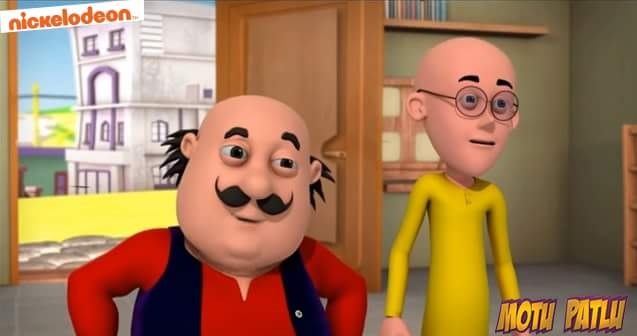 Kid’s dearest duo from Furfurinagar, Motu Patlu, visited several cities to promote their upcoming movie – Motu Patlu Kung Fu Kings- 3. In the respective cities, the superstars were seen training kids’ defensive lessons of karate and motivating them to remain equipped to fight every peril. Not just this, the Kung Fu Kings also demonstrated the epic move of breaking a plank to showcase strength and positive energy. The children were extremely delighted to meet the duo and together celebrated the spirit of Diwali with some Kung Fu craze.